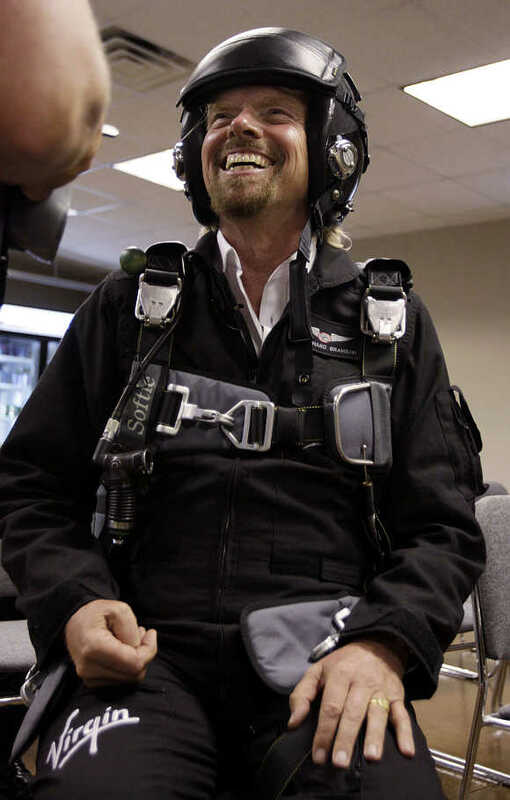 Who, indeed, is Richard Branson? Isn’t he the buccaneering music-to-spacecraft British entrepreneur who revels in fighting established brands, dives with aplomb into markets where monopolies are making super profits and upsets the status quo in businesses around the world? Or is there another, lesser-heard version and story? Of a tax-evading schemer who has built an empire on a remarkable series of public relations coups, stunts and gigs in which dozens of grand promises remain unfulfilled, venture after venture has collapsed and scores of business partners and stakeholders have been disappointed or cheated? Investigative journalist and author Tom Bower veers towards the latter in his new book, Branson Behind The Mask, also his second ‘expose’ on Branson who described the first book as a “foul, foul piece of work”, according to the Guardian. The book is an interesting read not least because of the method and diligence Bower has employed in going after Branson. It is also an example of what we perhaps need in India, a country with its own set of buccaneering billionaires. At the Clinton Global Initiative summit in September 2006, Branson made a startling announcement. He said he would donate $3 billion over 10 years to the Initiative to combat climate change. The $3 billion that Branson promised at the summit to former US President Bill Clinton would be used to develop biofuels, especially from algae and sugar. “The world is awash with sugar. And sugar is bad for you. So let’s put it in planes,” he said. Where would the money come from? Well, from the profits of all his transport corporations, he explained. Sweet. The flip side: there is no way Branson could have coughed up $3 billion. As Bower says, “There was, as Branson ought to have realised, little chance of Virgin’s trains and planes generating $3 billion worth of profits over the next 10 years. 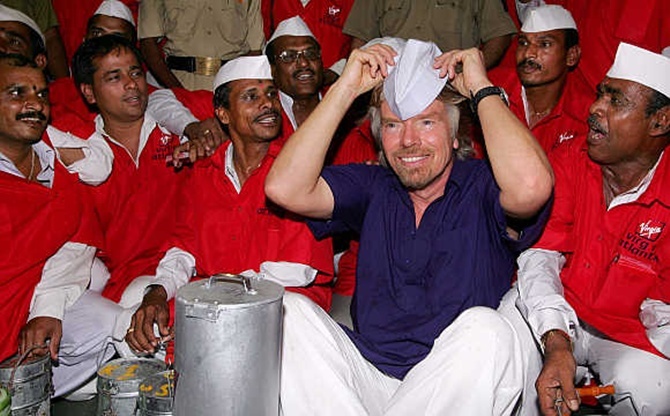 Later, when quizzed by sceptical journalists, Branson said if his transport companies failed to produce $3 billion in profits, he would most likely make up the difference with profits from other parts of Virgin, like Virgin Mobile, health clubs and other businesses. Image: Richard Branson, wearing an AirAsia stewardess uniform, speaks during an AirAsia promotional event after arriving at an airport in Sepang, outside Kuala Lumpur. I did a little bit of Googling myself to see how this pledge had progressed. A search threw up a plethora of reports from 2006 reporting the original claim but almost nothing on what happened to the $3 billion. One exception was a Wired article from August 2009. The report says that in the three years since the pledge, the Virgin Group itself has received 'proceeds’ of only around £110 million. How come? Because, of Virgin’s six main transportation businesses, only two were making money. Clearly it couldn’t have gotten a lot better since then. 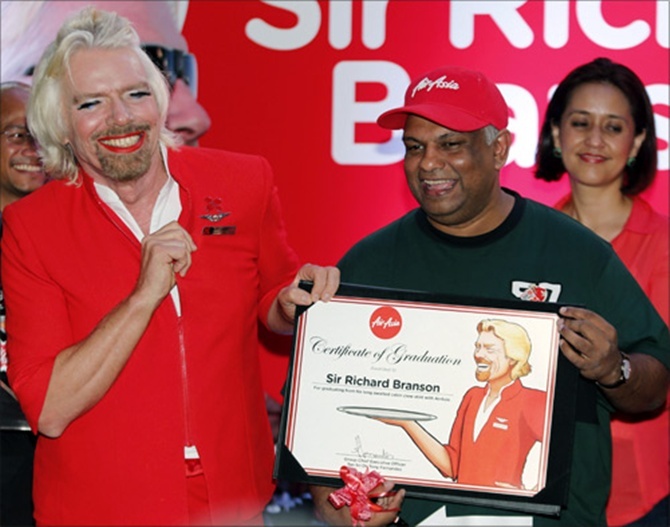 Image: AirAsia's Chief Executive Tony Fernandes (R) presents a certificate to British entrepreneur Richard Branson. Bower picks project after Branson project and subjects each to the same scrutiny, from spaceports to bids for rail lines in Britain, from promises of game-changing mobile phone networks (including in India) to a bank that would reinvent customer relationships, with sometimes a simple question mark at the end of a grandiose pronouncement and sometimes a surgical dive into the financials. And Branson does not come out looking very good. 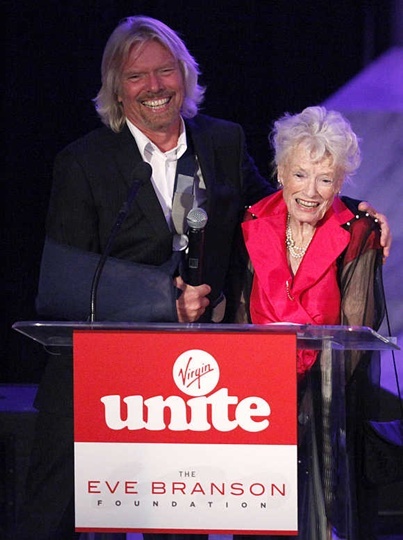 Is Branson a thief and a liar? If you were to believe Bower, the latter. But few have held Branson to account for his promises and claims. For the most part, Branson gets away and on to his next exciting project. How does he do that? The answer seems to be, quite simply, that few people have challenged him. The Google search on the Clinton Initiative is a classic case of how public memory can be as short as the lack of hard-nosed journalistic follow-up. But what’s in a claim, so what if it didn’t materialise? 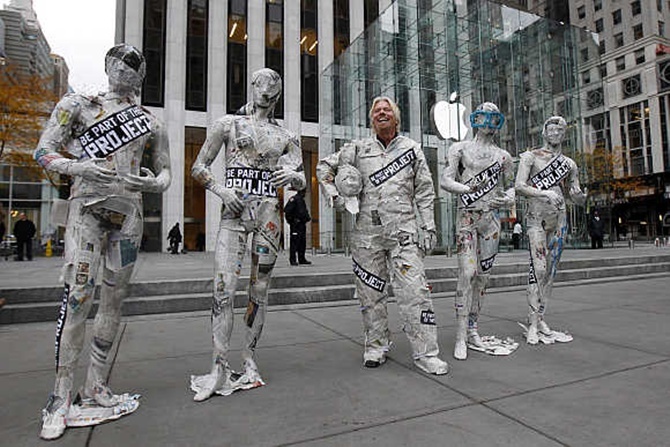 Bower argues this is a congenital problem with Branson and all his businesses. And people just fail to see through him. Which is the larger point. 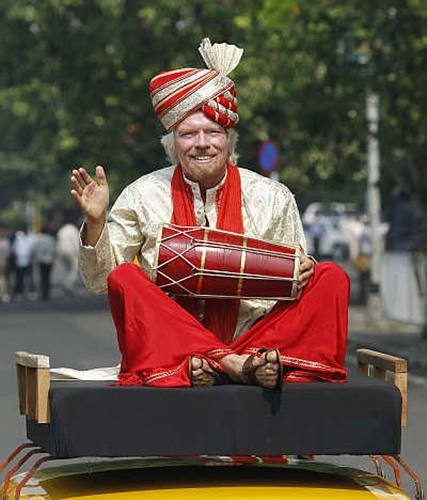 In India, there are businesses and businessmen none as flamboyant as Branson but some have come close. Kingfisher’s Vijay Mallya and Sahara’s Subrata Roy come to mind immediately. For years, both groups ran businesses with little public scrutiny, at least of the kind to which Bower has subjected Branson. 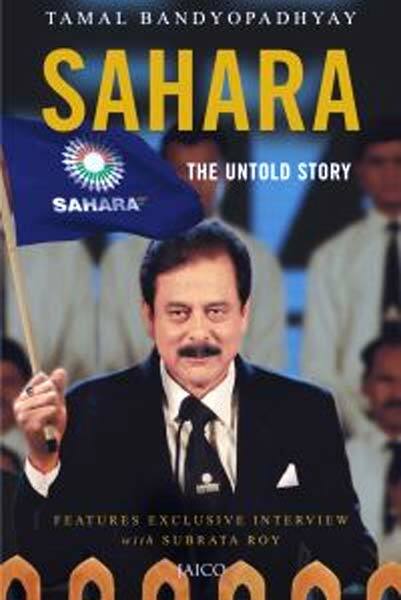 One journalist and ex-Business Standard staffer, Tamal Bandyopadhyay, tried to write a book on the hazy Sahara group. Titled ‘The Untold Story’, it’s announcement in January 2014 was greeted with a Rs 200-crore defamation suit and a stay on the book’s publication. Both the author and the publishing house, Jaico, were dragged to court. Bandyopadhyay, who had a tough time fighting the case, has maintained that his book is based on research and interviews. 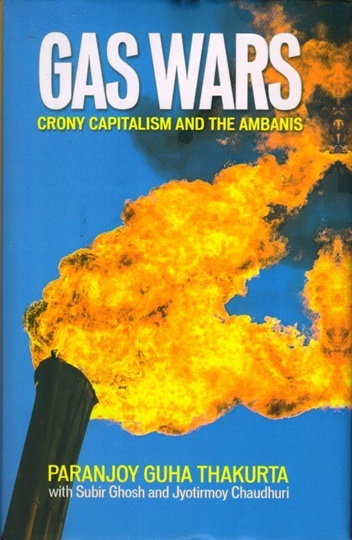 Ditto with journalist Paranjoy Guha Thakurta who is facing defamation suits, from both the Reliance factions interestingly — Mukesh Ambani and Anil Ambani — for writing Gas Wars: Crony Capitalism & The Ambanis. Of course, in his case, the title of the book leaves little to the imagination. In a television discussion a few weeks ago, I asked both authors why they felt they had been attacked since they both claimed they had given their subjects ample time and space to respond. There could be other reasons. But I could see the common thread between Bower’s book on Branson and Bandyopadhyay and Guha Thakurta's efforts back home. The ability of a writer to start placing facts together over time and then start stitching the story together can be explosive. More so in an information-overload era where retention for facts would be low when they actually filter through. The last decade has seen amazing business growth and expansion. Much has happened in the nature of business excess too. A look at Tihar Jail’s inmate records should tell you that. And yet, there is a huge vacuum between what we believe happened and the events as they played out. And all the little dots in between that never showed up, leave alone got connected. The need for research and story-telling could not be greater. 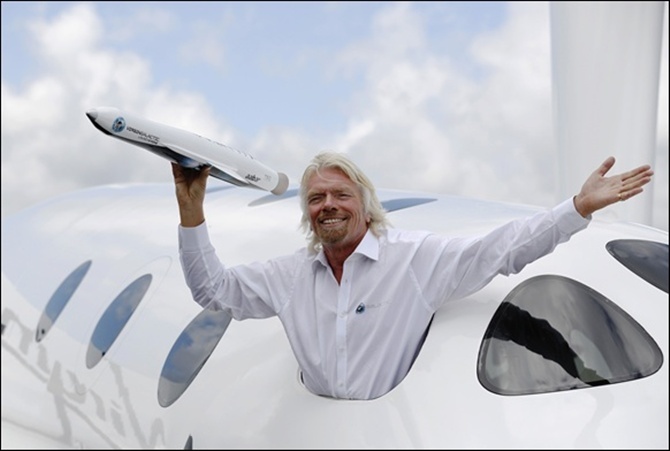 Branson only made a commitment that he didn’t deliver. Many have done worse. It’s time we started digging. Image: Richard Branson waves a model of the LauncherOne cargo spacecraft from a window of an actual size model of SpaceShipTwo on display.